What are the best HiFi headphones to listen to sic of 2018? In earlier days HiFi headphones were not moving in the market as expected. Now, its demand has increased beyond our expectations. New models arrive in the market with enhanced technical specifications and we are going crazy for the same. We have selected the 12 best hi-fi music headphones in the world and we have ordered them from the most expensive to the cheapest. You can read the introduction section that will be helpful when buying high fidelity headphones and for the better understanding of this segment. We try to solve questions such as:what is High Fidelity, what aspects should be taken into account before buying a Hi-Fi headset, types of drivers or transducers, how the sound signal works, or what is the impedance or sensitivity of a handset. In the world of sound, Hi-Fi is a quality standard that means the sound we hear through our headphones or speakers is very true to reality. That is, it is the closest thing to having the musicians or the original sound source in front of us, without any noise or distortion. Nowadays the industry does not offer us a clear standard that tells us if a sound system is Hi-Fi or not, but, we consider Hi-Fi “as any headphones of high-quality music that offers us a sound experience well above the average”. There are no clear parameters that establish the boundary between what is and is not a high-fidelity device. 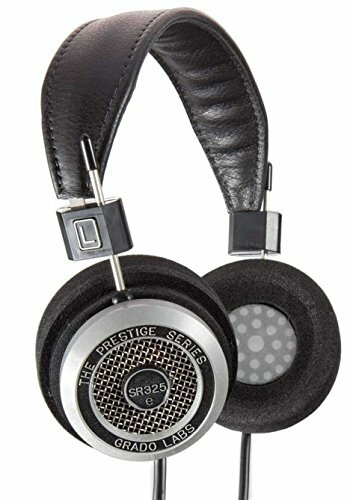 If we take into account that the price of good HIFI headphones can be very high, what should we take into account before deciding to buy a specific model? What type of headset do I choose? Earphones, in-ear, on ear or over ear. For us the best headphones are ” over ear ” headphones . They have a larger size, cover the entire auditory pavilion, isolate much more and allow a high frequency range to be reproduced without distorting the sound. 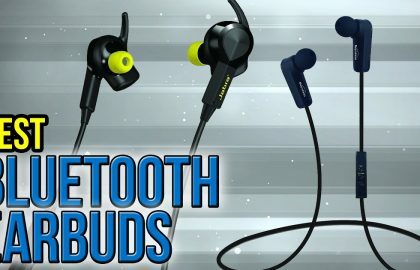 However, there are also options for good HIFI headphones in the segment of the in-ear and on-ear but you have to be smarter. In our case, we have prepared a small list with the best HIFI headphones of each segment. Not all Hi-FI over ear headphones are the same. A first classification distinguishes them between those with an open pavilion and a closed pavilion . What does this mean? The pads that are in contact with our ears are usually covered by a casing, whose design can be open, closed or even semi-open. This design will depend on comfort, interior and exterior insulation and other important considerations that we must keep in mind. They are the most comfortable for very long sessions. The sound is quite natural, although the bass may not be as powerful as in a closed system. They do not completely block ambient noises , so they are a good option for listening to music on the street, since it does not isolate us completely and we can hear some ambient sound (the horn of a car or someone who calls us). They also let out some sound to the outside of the headphones, so they are not the most appropriate while speaking in front of a microphone because we will strain the sound of what we are listening to. Aesthetically they are easily distinguishable because the external part of the casing usually has some type of grid or design that clearly shows that they are not completely closed. Normally closed headphones tend to weigh a little more because the housing is more solid to achieve greater insulation and with the passage of minutes can become uncomfortable. The pads themselves are wider to cover the entire ear, so the feeling of isolation is much greater, facilitating concentration. With them the sound experience is more intense and the bass is stronger. Its isolation works both inwards (we do not hear external noises) and outwards (so they are appropriate if we are in front of a microphone). They try to combine the best of each one, as the fact of having great comfort and a remarkable isolation, which does not get to be as intense as in a closed system. They are not advisable if we have to speak through a microphone because some sound comes out, especially the lower frequencies, because they have a longer wavelength. 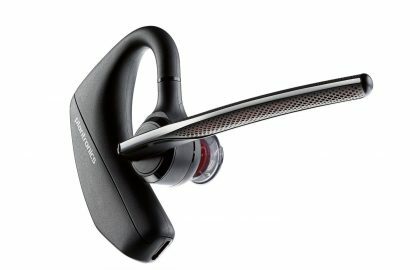 What kind of drivers do I need in my headphones? The drivers are the parts that cover the ears and that are usually joined by a headband. Within these are the transducers (the part that provides the sound itself) with the physical and electronic components that constitute the true engine of the headphones, what makes the difference. Within the range of Hi-Fi headphones are the most used and those with a lower price. Its technology has been on the market for decades and is based on the transformation of the electrical signals it receives into acoustic signals. Electricity reaches a dynamic stage that surrounds a magnet, this causes a diaphragm to move (often with a conical or round shape), generating pressure waves in the air that translate into sound. They have a very clear sound and an extraordinary sensitivity, but at high volumes or at extreme frequencies they can generate distortions. They are the great classics and if they have remained so far it will be for something. In magnetic planters, the diaphragm is thinner, has a larger size, is not always round, is stimulated by electrical signals and is sensitive throughout its surface. It is located between two plates with polarized magnets through which electricity passes, which are capable of causing the diaphragm to move with a greater force than in dynamic ones. This gives the sound a great definition and really low distortion. As an aspect to improve we can say that they have less sensitivity than the traditional dynamics and that they often need the amplification of a good team to develop their full potential. They have an extremely thin diaphragm located between two thin electrically conductive metal plates that create an electrostatic field. This causes the movement of the diaphragm and produces the acoustic signal we hear. The thinness of the diaphragm avoids any problem of resonances or distortions. Electricity does not circulate through it, unlike what happens in magnetic planters. It is a technology that greatly increases the price of headphones but offers a very high resolution, a great naturalness in the voices, speed before changes in frequency and good response to medium and high frequencies mainly. This type of equipment not only increases the signal that reaches the headphones, but also prevents distortion , favoring a sound full of nuances that will make us enjoy music even more. We leave you a report with the best headphone amplifiers in the world . What types of amplifiers are there? 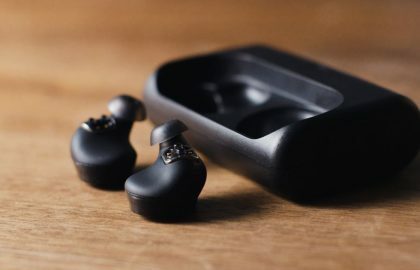 They have the size of a mobile phone approximately and the necessary connections to connect the music player equipment on one side (even if it is an MP3 player, a laptop or a mobile phone) and on the other hand your precious headphones. They are used in recording studios, in live events (to equalize the signal both input and output) and also to listen to music while walking or traveling . They incorporate some batteries , usually lithium, which must be charged as if it were a telephone. These types of amplifiers are used at home or in the recording studio . They can be connected to the computer, to a stereo audio system, to a “home theater” (“home theater” system) or to any audio source. It is larger than laptops, and connects directly to the electrical network and often incorporate extra features such as digital sound processing (DSP) to achieve surround sound, the existence of a large number of channels to better distribute the signal or a pre amplifier to reduce interference. It is the resistance offered by the headphones against the signal that reaches them ( measured in Ohm ). The more impedance they have, the weaker the signal will be and the more necessary the amplifier will be. Often high-quality headphones have a high impedance and need an amplifier capable of offering adequate power to balance things. What is the sensitivity in acoustics? It is the ability of headphones to transform the signal that comes to them in an acoustic signal , in sound (measured in dB / mW). The higher the sensitivity, the higher the volume at which the handset will sound at a signal of similar power. Example: A headphone of 104 db / mW extracts 104 decibels from each mega watt it receives, so it will be more efficient than one of 90 and it will be heard better. Small improvements in design compared to the first version. In case you have the previous model you can receive an “upgrade” program. They require a great sound equipment to deploy their full potential. The HIFIMAN – HE1000 v2 are the second version of the famous Hifiman HE-1000 , which entered the market in 2015, surprising everyone for its excellent quality . After the first buyers tested them for more than a year and gave their opinion, manufacturers have decided to release a new version in which they have improved some small details, staying even closer to perfection. Regarding the design of these spectacular HIFI headphones there are no big changes. The main touches are found in the natural leather headband, which is now wider. Also in the synthetic leather pads (with a new design and made of synthetic leather), the headphones (narrower) and the diaphragm (the finest on the market, thanks to nanometric technology, which has achieved a thickness of 0.001 millimeters) . This high fidelity model presents the new Window Shade system , which protects the driver and makes possible an open design in which the waves do not bounce inside the capsule, improving sound quality. The packaging is simple and elegant. It consists of a brown granulated leather case with a metal plate on the lid on which the brand and model is written. This renewed version weighs 420 grams , 60 less than the previous one. That makes you forget that you wear them as comfortable as they are. In addition, since the headband is wider, the weight is distributed better. In it, more adjustment points have been added so that even the widest heads feel good. The pads completely cover the ears and are now made of synthetic leather, which makes them breathe less. In summary, the comfort is excellent and allow you to listen to music for hours without any problem. 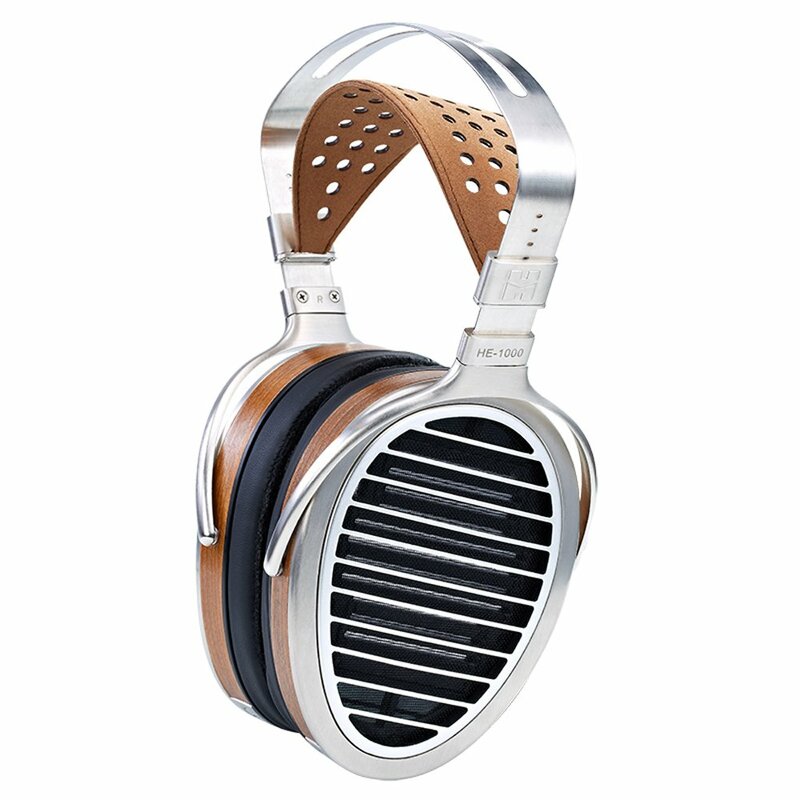 In these high definition headphones, the Hifiman brand has taken the rest and opted for the best quality in all its components, both on the outside (headband, grids, pads) and what is inside the drivers ( the thinnest diaphragm on the market, the asymmetric magnets and the Window Shade system, which prevents unwanted reflections in the capsule). Stratospheric. The quality of these Hi FI music headphones is of the First Division and there is no noise that could spoil our hearing. Bass is not especially powerful, the media is perfect and the treble is less strident than before. We must emphasize the naturalness, the level of detail and the three-dimensionality of sound. But beware, these high fidelity music headphones are a bit gourmand: they only take full advantage if you connect them to a team that is also high-end. The use of an amplifier is not essential, as they do not have a very high impedance, but if you use it, you will be grateful and the performance will be a giant leap. The new cables have a cover with an outer mesh made of silicone, making them translucent and easier to handle. 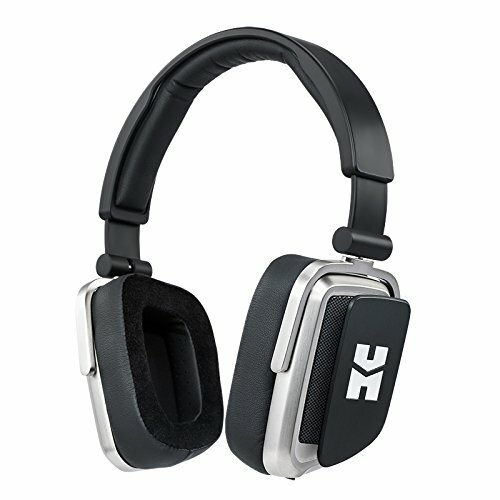 The price of Hifiman HE-1000 V2 headphones is around $3,000 , the same as the previous version. The Hifiman HE-1000 V2 headphones are veryhigh quality price that more than justify its cost thanks to an updated design and some improvements in the quality of sound. They are at the top in terms of benefits. From here, looking more upwards is complicated in the sector. For us they are one of the best music headphones that have ever been built. But if you have the previous version, which in itself was very good, it may not be worth the upgrade . Comfort, isolation, naturalness of sound. The design makes it difficult to replace the pads and change the cables. The HD800 is a dynamic HIFI headphones from the Sennheiser brand , with an open type design with a disruptive and technological image. They incorporate the largest transducers on the market and stand out for their realistic sound, their great isolation and low resonance. After the success of the HD650 are the new flagship of the Sennheiser brand. These Sennheiser Hifi headphones have a robust appearance, but are lighter than it seems ( 330 grams ). The headband is black and the drivers are metallic gray, with the grid open and well visible. They convey an attractive, technological and solid image. They come in a thick cardboard packaging that carries the HD-800 in a soft bed so they do not suffer during transport. In addition to not being too heavy, these Hifi headphones completely cover the ear, which barely touches them. This conveys a sense of isolation and significantly reduces ambient noise. The pads are very comfortable, they are made of microfiber and manufactured by hand. High – quality headphones . In its manufacture, steel, silver and novel types of plastics developed originally for the aerospace industry have been used. The headband is made of plastic coated with metal to reduce vibrations. The pads are made of microfiber and the transducer is covered with stainless steel. As a novelty, we will tell you that the Hi-Fi HD800S headphones incorporate a damping technology that was recently created for the IE800 and that Sennheiser has continued to develop. With it, very high frequency sounds are preserved in the presence of high-power low frequencies, preventing the famous “hiding effect”. In addition, these high-fidelity headphones carry 56 mm transducers, the largest in the market of dynamic headphones, mounted on a stainless steel mesh that eliminates unwanted vibrations. Its orientation, taken care of to the millimeter, gives us a natural and three-dimensional sound. Thanks to the high quality of the materials and the precision of their design, these HIFI headphones give us a huge frequency response (between 6 and 51,0000 Hz) and a pressure of 102 decibels. On the contrary, its impedance is high , reaching 300 ohms (so it will not hurt a few amplifiers for headphones ). All this results in an extremely natural sound , balanced in all frequencies that will meet the expectations of any lover of sound. The Sennheiser HD800 come equipped with two connection plugs: on the one hand, a 6.3mm connector; and on the other hand a balanced XLR-4 cable , ideal to connect them to any amplifier . 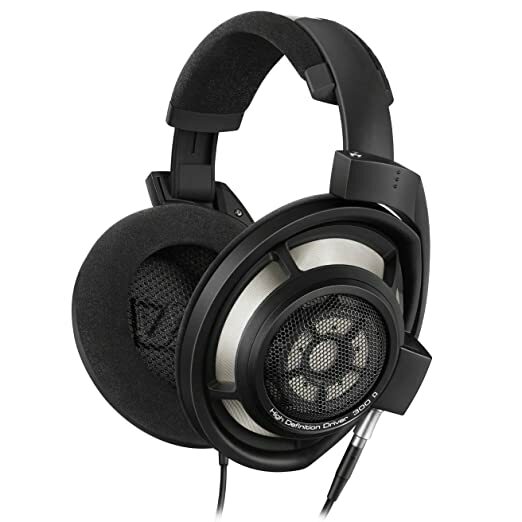 The sale price is around 1700$ , which for domestic headphones is quite high. The quality of the materials and technology used surely deserve it, but for an audiophile it can be prohibitive. This is compounded by the fact that these headphones need an amplification device that is the same level. The Sennheiser HD800 is a dynamic headphones, OVER EAR, open TYPE mounted for anyone who wants a home study or for amateurs who want to indulge themselves and listen to music at home with the highest possible quality. But having a high price, customers may hesitate to switch to a somewhat higher technology. Comfort, precision, real improvements compared to the previous model. Having a very high impedance the use of amplifier is almost mandatory. The second generation Beyerdynamic T1 are over ear HIFI headphone with a semi-open design . They are a twist on the iconic Beyerdynamic T1. It is not about any superficial improvement or design, but rather the opposite, the brand wanted to improve the sound quality where possible. The appearance of the T1 of the second generation hardly varies with respect to the previous ones. Its design is classic and sober, the metallic gray of the drivers predominates in contrast to the black of the headband and the pads. There are no great logos or anything that wants to attract attention, as if they wanted to say “forget about the image, we are going to take care of what matters”. In front of the first generation aluminum case, they now come in a lighter and more practical carrying case. The care put into each detail resulted in this model receiving in 2010 the international design award “Red Dot Design Award”. The pads have velvety touch and make listening to music a real pleasure. In addition, the headset settings are good and the weight moderate, so you can focus on the music for hours. The materials used are top quality, as is logical in this range of headphones, which are manufactured by hand. The outer grille is made of steel, the headband is made of natural leather and the pads are made of microfiber. The controllers are highly efficient thanks to Tesla technology and provide a sensitivity of up to 102 decibels. High fidelity sound. Nothing more to wear these HIFI headphones you will notice a clarity and precision difficult to match and the definition of the music scene is almost perfect. It shows an improvement over the first generation, something that was very difficult to achieve. We have noticed that the bass now has something more strength. The cables are reinforced by a synthetic mesh and connected directly to the capsules. In addition to the mini-jack connection have a 6.35 mm jack adapter in screwd format. The Beyerdynamic T1 second generation headphones are for true lovers of high qualitysound . They are designed primarily for domestic use , but are not for any amateur but for those who care about having a good amplification and quality equipment. The pads are not replaceable and the connection of the drivers are quite narrow. 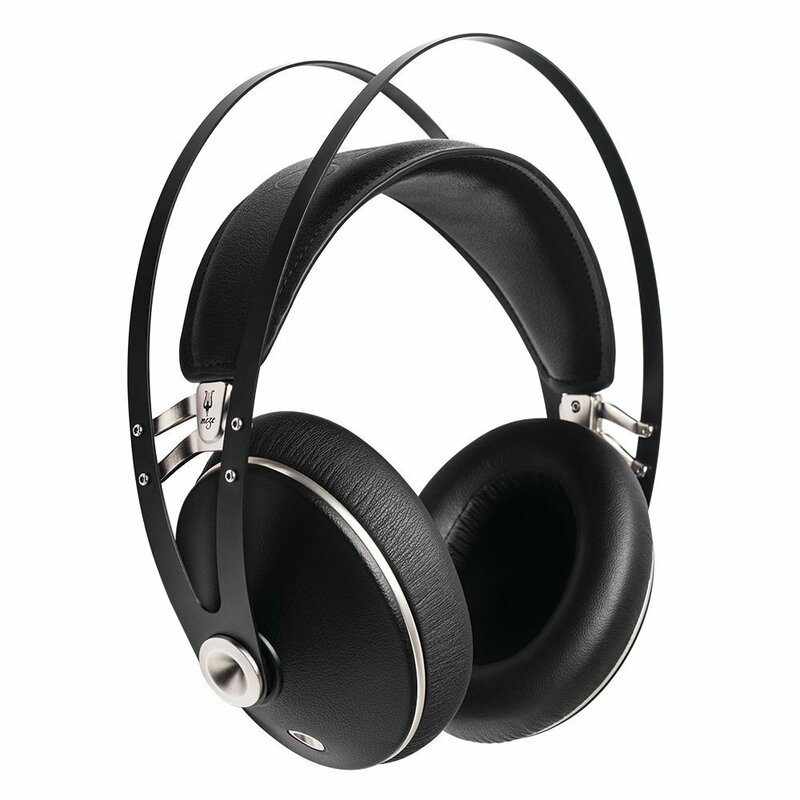 The OPPO PM-3 is a closed circuit over ear headphones with magnetic planar technology . They are one of the best portable headphones in the market , with premium materials and a low weight. They are prepared to be used with smartphones without losing benefits. The design of the OPPO PM-3 is sober and minimalist . The materials are of first quality and the touch is solid and comfortable. The pads are made of high quality synthetic leather and of a considerable thickness. They come presented in a wooden box that includes a carrying case made with fabric from recycled jeans. They are usually sold in black, but you can also find them in white. Within its range is one of the most comfortable headphones thanks to the quality and density of its pads, its ergonomic design and a weight of 320 grams , within the average of its category. The quality of external materials is first class, both on the outside and inside. The magnetic transducers have an innovative design created by OPPO, as well as a very thin and light diaphragm that allows to reduce the total weight of the product. As for the technology they are quite similar to the PM-1, but its sound box greatly improves the insulation. The sound quality of these high definition headphones is magnificent , with a bass level at an acceptable level and a soft treble. But where it really stands out is in the middle frequencies , where you get a great definition and a sound in the foreground full of nuances. This is ideal for vocal music such as pop or rock. They have excellent insulation against outside noise. They come with a 3-meter 3.5mm stereo jack cable and an adapter for 6.35mm. In addition, they incorporate a spare cable of 1.2 meters, a cable with microphone for Android and another cable with microphone for IPhone. The OPPO PM-3 are one of the best options if we have to choose a portable HiFi headset . They are very comfortable and well prepared for us to use on our mobile phones. The sound quality is extraordinary and the design is simple but elegant. Global product quality, high technology, comfort. The bass is boosted in excess, which takes away presence at the mid frequencies. 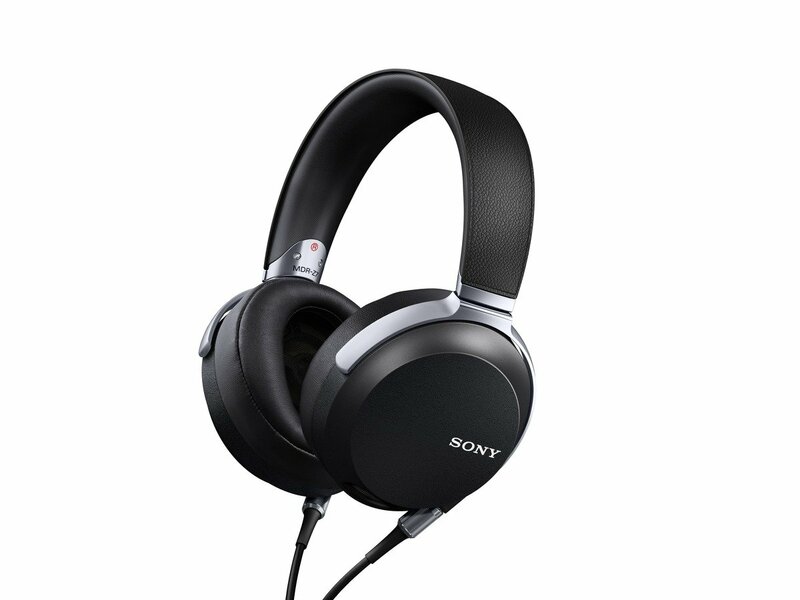 The Sony MDRZ7 are dynamic, over ear, closed style Hifi headphones . With them SONY has wanted to return to place one of its products among the highest range. They are manufactured entirely in Japan with the best quality materials. They are intended primarily for domestic use . 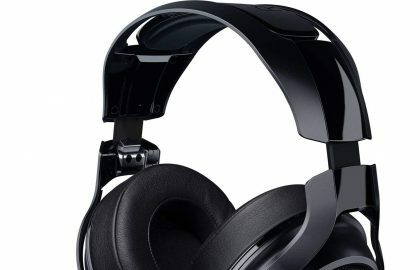 Sony has chosen to “dress” these headphones with a sober and elegant aesthetic in which the color black predominates, with the only exception of the presence of logo of the brand on the external part of the drivers. The design of the set is simple, functional, the pads are synthetic leather and very fluffy. It has a wide range of adjustments in the headband and the connection between the various pieces is firm. All this makes it very comfortable to spend hours at home with them on. The materials are of first quality (aluminum, leather). The assembly of all parts is precise and does not cause unwanted noise or vibration when adjusting or moving the headphones. It has a 70 mm HD controllers , with diaphragms made of liquid crystal polymer that get an excellent response to all types of frequencies. In addition, SONY MDRZ7 come with Hi-Res Audio technology , designed to faithfully reproduce recordings made in high resolution and improve the sound of sounds that have excessive compression. The closed design allows a great isolation and Sony has managed to avoid the typical problems of this type of driver (difficult location of the sounds, caking of sound sources). On the contrary, the bass have been enhanced too (although this always depends on the taste of each). This prominence of the low frequencies causes the averages and the high ones to be reduced, removing nuances to our hearing. The SONY MDRZ7 come with a removable 3 meter cable and a 2 meter cable, plus an adapter for UniMatch connector. Optimal quality-price ratio. These headphones for HIFI music are spectacular and provide a sound quality similar to that of other competitors with a much higher price, so they are a good option for music fans who can not choose higher ranges. Its sound greatly enhances the low frequencies, but its isolation and level of detail are magnificent. Very heavy cable and headphones also heavier than average. The GRADO LABS SR325E are a “on ear” headphones of dynamic type that faithfully follows the aesthetics of this New York brand. For a very affordable price it offers a clear sound and full of nuances (without super powerful bass). They are heavy, but not very uncomfortable. The design has a “retro” touch , with that “sixties” air that makes Grado such a recognizable brand. The adjustment is comfortable and simple, thanks to the peculiar system in the shape of “antennas”. The capsules can rotate without limits horizontally. This is on ear headphones, that is, they are placed directly above the ear, but as the pads are so big and fluffy, if you do not have very large ears you will have the sensation of enjoying over ear headphones. The downside is that both the headphones and the cable that comes as standard are quite heavy. First of all they are quality headphones . The materials are of good quality (metal, synthetic leather, plastic) and gives it a certain robustness, which is noticeable in the final weight of the product. The cable seems almost unbreakable and also weighs its own. The transducers are dynamic, with a medium frequency response and a very low impedance (32 Ohm) so we can use it without amplifiers (for example, connected to our smartphone). The sound is bright . Balanced, with more details than other headphones in the same price range. The transition between frequencies is smooth and the response to bass is less intense than in other brands. 3.5mm stereo jack cable and adapter for 6.35mm . They are excellent HIFI headphones for use at home or in a quiet environment, enjoying a sound full of details without too serious and a design with a lot of personality. In this case, its value for money we think is very good. They do not require amplification, they are comfortable. For some people they are uncomfortable, the pads wear out quickly, the cables are a bit short. 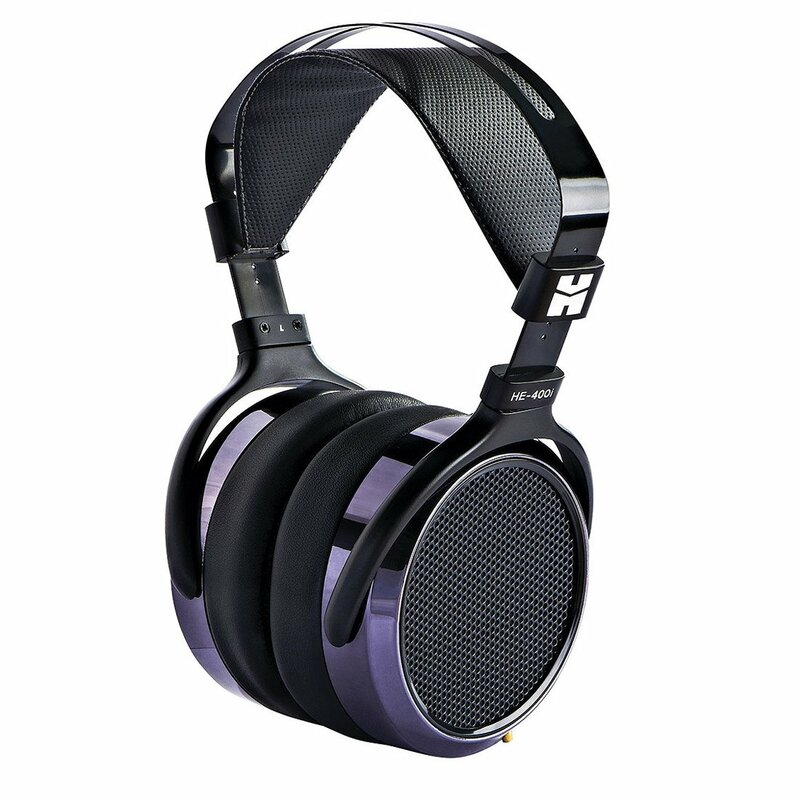 The Hifiman HE-400i are HIFI over ear headphones open design and magnetic planar technology . It is the model that has replaced the Hifiman HE-400. Some improvements have been made that have resulted in a more balanced and realistic sound. Inside the mid-range headphones are among the best. The Hifiman brand is known for offering minimalist design products , elegant and with a futuristic touch . They say a lot with very little. So are the HE400i , headphones in which the only striking touch is put by the grids that cover the drivers. Comfortable headphones. Both the cups and the headband have been redesigned, which is now more comfortable and fits better on the head. In addition, weighing only 370 grams , we can use it for several hours without any feeling of fatigue. As is the custom among Hifiman’s products, the brand has used solid and top-quality materials (for example, the pads are Pleather velvet, the headband is made of leather and the headband is made of aluminum). In addition, for the final finish they have used shiny ABS polymer cups, which gives them a color between metallic gray and blue (even pink) depending on the light that falls on them. Hifiman engineers have managed to polish some defects that had the previous model, improving its sound especially in the bass (now more powerful) and treble (less impetuous than before). In addition, as the HE400i have a very low impedance (only 35 Ohm) and a high sensitivity (93 dB) it is not necessary to use an amplifier or, in any case, with a mid-range one is more than enough. It also highlights the rapid response to different frequencies and truly amazing instrument positioning. These quality headphones come with a 1.5 meter cable terminated in a 3.5 mm plug and a Jack (6.3 mm) adapter . The Hifiman HE-400i can be found for around $ 300 or less (depending on the country and the store). For the quality of sound they have and how well done they are a great purchase, perhaps the best we can do within this range. In this model some details of the previous version have been improved and the result is a product of great quality, good sound, comfortable and light. A guaranteed success within the mid-range (around $ 300). The middle frequencies are not as rich as the middle and high frequencies. Type: Over-Ear , closed type. 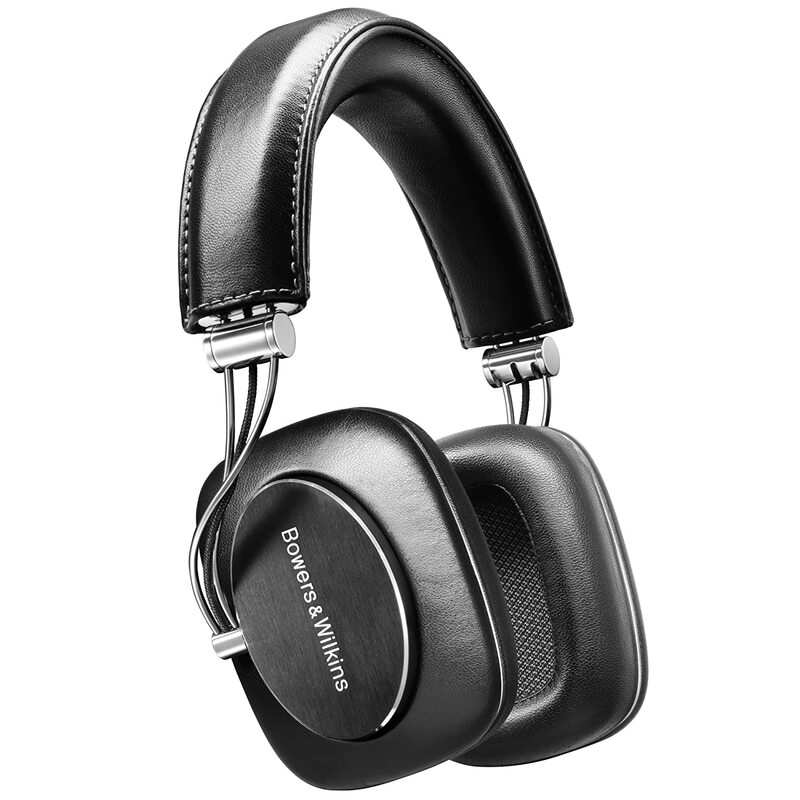 The Bowers & Wilkins P7 are Hifi over ear headphones and closed design , British origin, which uses dynamic technology. They are strong and reliable and made with high quality materials. Like all Bowers & Wilkins products , the main values conveyed by its design are robustness, reliability and a sober elegance . The rectangular shape of the drivers and the engraving of the brand inside an oval on the outside of the drivers is what will help you distinguish these hearing aids at first sight. What stands out most of these headphones is its robustness . At first they may seem less comfortable than other brands and have less adjustment options to the head, but after a few minutes you will forget that you are wearing them. The pads are very comfortable and they do not transpire, but with the passing of the hours there is a certain auditory stress. The quality of the materials is extraordinary for a product within this price range. These headphones transmit a great solidity and seem to be made to withstand heavy use thanks to the use of aluminum, but also incorporate details that will please the more gourmets like the headband, which is made of sheep skin sewn by hand. The external part of the drivers is brushed aluminum, on which the name of the manufacturers has been pressed. The pads are removable, have double cavity and sound-absorbing filler. These HIFI headphones give more weight to sounds with low and high frequencies . The middle frequencies are a little less clear. There are no unwanted distortions or vibrations no matter how much the volume goes up. The isolation from the outside is almost total, although they do not have active cancellation. As a curiosity we can add that these headphones work better and better as time passes thanks to the response of their materials to the different stimuli. Among the accessories is a 1.2 meter cable with a 3.5mm connection and a 6.35mm stereo jack adapter. The controls of the original cable are prepared to be used with a smartphone (especially if it is from Apple). You can find this model for a price that goes between 320 and 400 dollar. It is a good purchase due to the quality of its materials and its great resistance. The Bowers & Wilkins P7 are a good option for someone who wants a medium quality product to use practically daily in domestic environments or in a non-professional studio. Attractive design, lightness, good sound. Somewhat uncomfortable in prolonged listening, low and high frequencies somewhat limited. The Meze 99 Classics are dynamic Hifi headphones over ear type and closed drivers built in wood , which gives a great personality and distinguishes them from any other brand. They offer a sound quality more than acceptable, although for the most demanding they lack some thrust in the most extreme frequencies, both low and high. What most attracts the attention of these headphones are their wooden cups , the golden color of their metal parts and the skin of the headband. They convey a strong personality, a taste for noble materials and a search for sobriety. These HIFI headphones stand out for their lightness (they weigh only 260 grams, much less than the average) and for not having too big drivers. The headband is especially comfortable (it is wide and padded). Everything helps you from the first moment feel a great comfort and you can concentrate on the music. The choice of materials is clear: they have to be simple and of the best quality. The cups are made of wood, the metal fittings are made of aluminum, the headband is made of natural leather and the pads are made of synthetic leather. The sound is natural, dynamic, quite warm , with fairly moderate bass, good mid-range frequencies, fairly soft high frequencies and a slightly dark sound. Perhaps something scarce in cases of very low sounds or especially high, but for a domestic use they are more than recommendable. Their low impedance makes them a good choice for use with smartphones or portable audio players. They come with a short OFC copper cable, for portable use with control and micro for smartphones and a smooth long OFC copper cable. It also comes with a mini jack 3.5mm jack to 6.3mm jack adapter and a double adapter for flight. You can find this product at a price that ranges between 200 and 310 dollar , a good option to get rid of the headphones that come standard on most laptops and start demanding something more quality. The Meze 99 Classics are very quality headphones to keep in mind for domestic use, with a sound quality more than enough, noble materials, comfortable and attractive design and a very affordable price. The possibility of making them closed or open using the panels that it brings as accessories, attractive design. Comfort and low impedance for portable use. Worst sound quality in the closed configuration than in the open one. Type: Over-Ear, closed type and open type. The Hifiman Edition S are portable headphones, over ear and open type , which have a curious accessory to turn them into closed (removable covers that are fixed by magnets). They use dynamic technology. This is the first incursion of the Hifiman brand in the portable headphones sector. Hifiman has relied on the Savvy Design studio in Boston to give these hearing aids an attractive, current and novel aesthetic. The headband is very padded and the drivers, with a rectangular design and a considerable thickness, give a feeling of firmness. The detail of the logo on the removable plates on the outside of the drivers is a success. When they are removed, a sober and large grid is exposed. The drivers, of rectangular shape and asymmetric design, incorporate 40mm transducers. Comfortable headphones. These headphones incorporate a specially cushioned headband that properly distributes the weight throughout the head so you can enjoy your music for hours. In this sense, the ergonomic design of the whole set has also been taken care of. Also noteworthy is the ease of use of removable plates, which adhere to the external part of the drivers through a system of magnets. When saving them, the Hifiman Edition S fold easily and take up very little space in the travel bag that comes as standard, making it easier to transport. They are quite light (249 grams), in line with what is asked of portable hearing aids. Hifiman wanted to maintain its excellent reputation in this first adventure in the world of portable headphones, so it has not spared in terms of the quality of the materials (for example: leather in the headband and pads, aluminum, solid plastic in some parts). It should be noted that the two configurations, open and closed, offer two clearly different experiences. When closing the drivers with the plates, the sound is somewhat hollow, with little force in the bass. By removing the panels and leaving them open, the sound acquires a greater naturalness, something bright and accentuated in the highs, sharper in the serious and natural in the media. This product comes with a cable with volume and microphone controls so you can use it with your smartphone (either IOS or Android) and with a 6.35mm adapter. 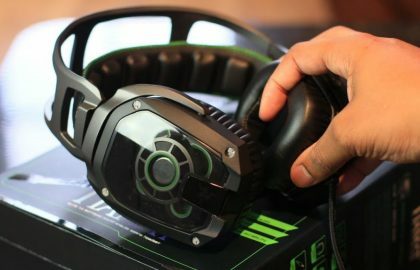 Its price is around 110 dollars , a range in which Hifiman still did not compete and which has entered with its cheapest product so far. It is a high quality headphones that initially attract users thanks to its versatility, but that will probably end up being used only in its open configuration, which is where it really deploys all its capacity. The connection of the cables is not completely firm, they are not collapsible. 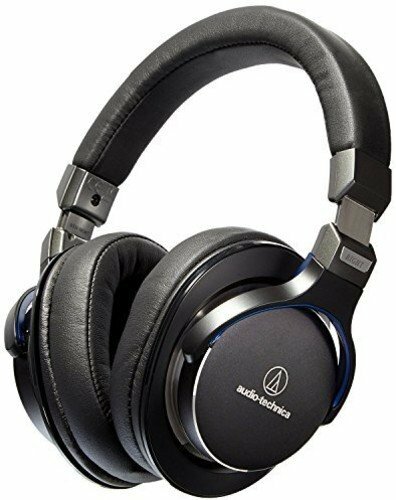 The Audio-Technica ATH-MSR7BK are closed-circuit, over-ear headphones with dynamic technology and designed for portable use . 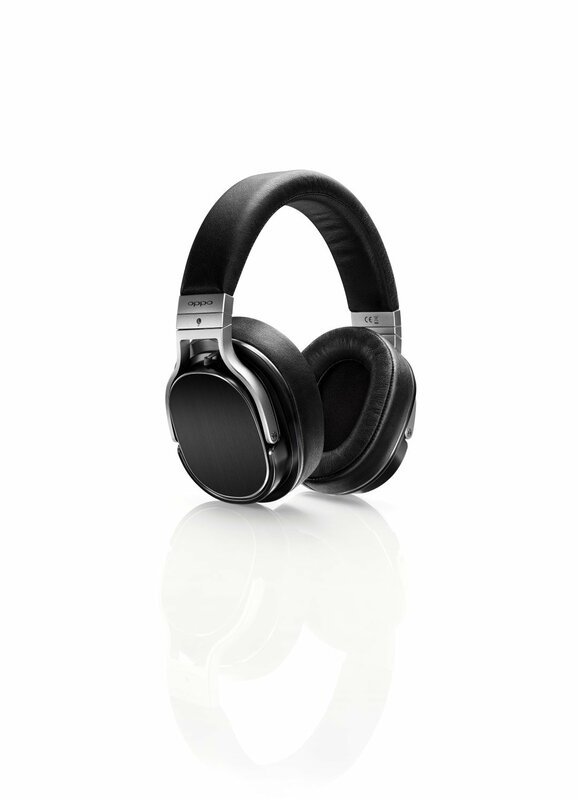 It is the improved version of the ATH-M50X, resulting in a rounder product and also something more expensive. The finish of the ATH-MSR7BK is somewhat more careful than the rest of the brand’s “M” series. The good part is that they are more solid and the bad part is that they are no longer foldable (although the earmuffs rotate 90º, which helps them to be stored more comfortably). There are two designs: in black with blue and brown with red. The headband is very padded, more than the average of other products in this range. The pads are made of a very soft and breathable synthetic leather. They are large, favoring isolation. The weight is 290 grams , quite light compared to other similar hearing aids. These HIFI headphones are made of magnesium and aluminum alloy. They are strong and simple. The pads are made of synthetic leather. The transducers are dynamic and measure 45mm. The whole assembly is well assembled and conveys a sense of solidity. Its low impedance (35 Ohm) gives us good sound quality even without an amplifier. The quality of their sound differentiates them positively from their competition. His response between the different frequencies is quite good, especially in the medias, in which he achieves a great deal of detail. The bass is soft and the treble maybe somewhat accentuated, but in general improvements have been achieved in all ranges. These headphones come with three cables: two connection cables 3.5 mm (1.2 and 3 meters) and a cable for smartphones with microphone and volume control . It is a highly recommended and good sound product. They can be used in very different environments and their low impedance makes them ideal for use with smartphones. A good choice within this range of HIFI headphones of medium-low prices. Good insulation, soft sound, low impedance. 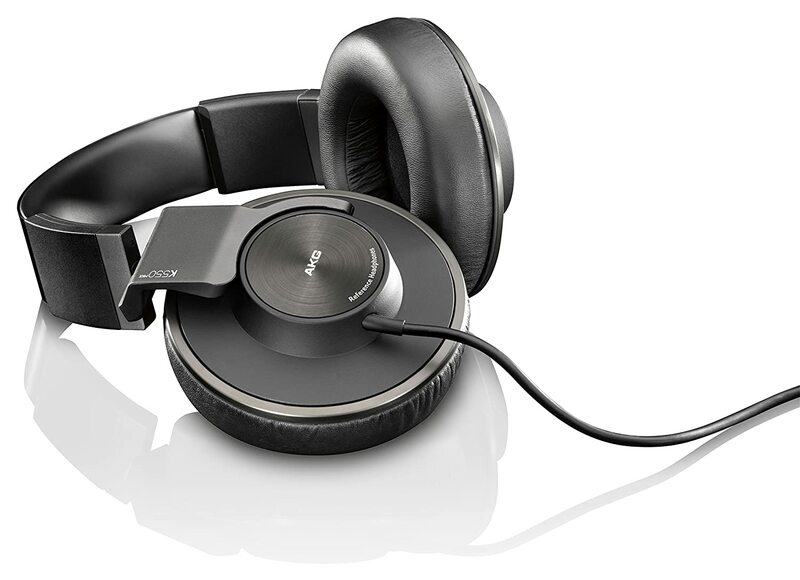 The AKG K550 MK2 are HIFI over ear headphones closed design and dynamic technology. They are a novelty in the catalog of AKG, which lately suffered from new references. These are hearing aids located in the mid-low price range, with soft sound and great insulation. The design is discreet, minimalist, only available in black. The transducers are quite large (50mm) and the pads, of synthetic leather, are not particularly wide. They are not folding headphones, but the drivers can be rotated 90 degrees, so that they are quite flat and can easily be stored in their case. The headband of the AKG K550 MKII headphones has been redesigned to achieve greater comfort. They are somewhat heavy for what is normal in their category (386 grams) but the pads are especially comfortable. The fastening of the headphones to the head is not very strong and can move or even fall before a sudden movement if you have a small head. The materials are of good quality, but the whole transmits a sensation of certain fragility, perhaps due to the assembly between the different pieces. The K550 M2 are not suitable for those who loves accentuated bass. This model stands out for the balance achieved between all frequencies and the naturalness of its sound. The quality in general is very good, but it is missing a little more breadth. The insulation is quite accentuated and has a very well achieved three-dimensional effect. The original packaging includes a 3.5 mm plug (gold plated) and a 6.3 mm threaded adapter (gold plated). Also included is a cable for smartphones with a microphone and volume control. It is a good option for people who listen to music on their smartphone or on a portable device, especially indoors, since they have enough insulation and can prevent us from perceiving the sounds of the environment. GRADE LABS SR325E Supraaurals, open type Dynamic headphones 517 grams 19 x 17 x 7.8 18Hz – 24,000Hz 98 dB / 1 mW 32 +/- 3 Ohm A 3.5mm stereo jack cable and an adapter for 6.35mm. HIFIMAN – HE400i Circumaural, open type Magnetic planar headphones 370 grams 17.78 x 20.32 x 11.43 cm 20Hz – 35,000Hz 93 dB / 1 mW 35 +/- 3 Ohm A cable with 3.5mm Jack connectors and an adapter for 6.35mm. MEZE 99 CLASSICS Circumaural, closed type Dynamic headphones 260 grams 24 x 22 x 11 cm 15Hz – 25,000Hz 103 dB / 1 mW 32 +/- 3 Ohm A short OFC copper cord, for portable use with control and micro for smartphones; a smooth long OFC copper wire; A mini jack 3.5mm to 6.3mm jack adapter and a double adapter for flight.